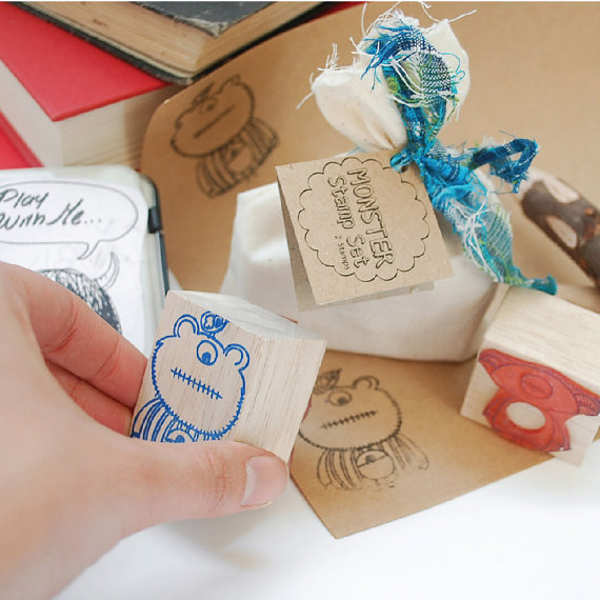 I’ve never come across such adorable monsters – and this new fun kids’ brand from Australia is adorning all manner of gorgeous wares with them. Let me introduce you to Amor Amor – a beautiful label concocted by three Columbian friends who moved to Australia to build a new life. They’ve blended the culture of their homeland with that of their new home to create a range of children’s wares, softies, decor and stationery items. 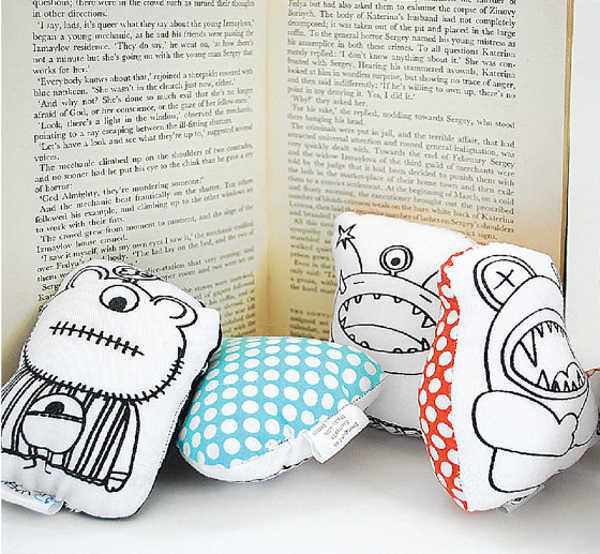 I am really taken with the simple and cheeky monsters which grace Amor Amor’s wares. They will certainly appeal to children and are artistic enough to attract the attention of adults. The array of goods available from Amor Amor is rather large for a fledging company – but in particular, the stamp sets ($12) are a stand out. I can imagine these will work a treat on handmade party invitations and matching thank you cards. 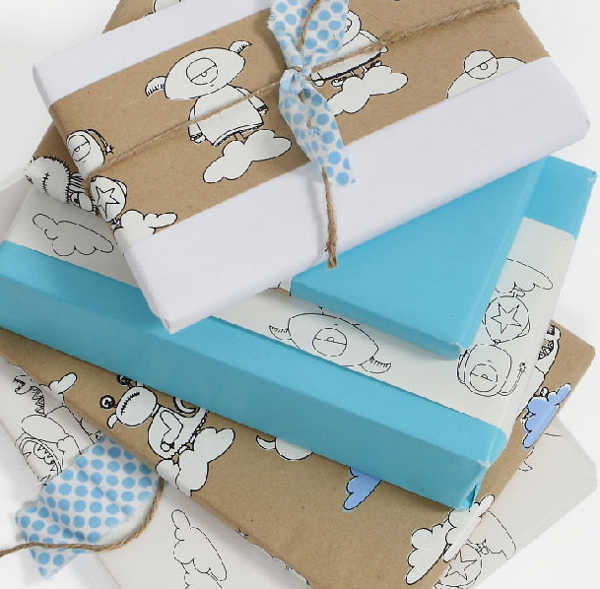 Still on the party theme, the lolly bags ($10) are very cute, and teamed with the wrapping paper, you have an entire celebration organised! The clothing is just as sweet, with monster leggings from $24 and long and short sleeved tops. 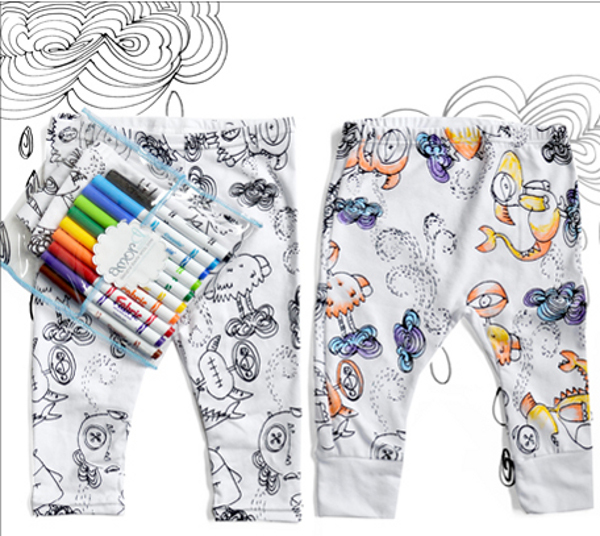 There’s even a fabulous monster leggings artist kit ($40) which comes complete with a set of fabric coloured markers. Order directly from Amor Amor, or check for a stockist near you.